Photo by Evan Bevins WVU Medicine Camden Clark Auxiliary President Judith Ball, center, talks with her husband, Ed, and fellow volunteer Connie Ruble during the 67th annual Auxiliary Meeting and Luncheon Friday at the Nemesis Shrine Center in Parkersburg. Photo by Evan Bevins WVU Medicine Camden Clark President and CEO Steve Altmiller speaks during the hospital’s 67th annual Auxiliary Meeting and Luncheon Friday at the Nemesis Shrine Center in Parkersburg. Photo by Evan Bevins Muskingum University sophomore Caleigh Doan, left, and Marietta College freshman Shelby Lassiter were the recipients of Leo D. Carsner scholarships at WVU Medicine Camden Clark Medical Center’s 67th annual Auxiliary Meeting and Luncheon Friday at the Nemesis Shrine Center in Parkersburg. Doan, from Marietta, is studying nursing, while Lassiter, from Spencer, is studying biochemistry with plans to enter the physician assistant program. 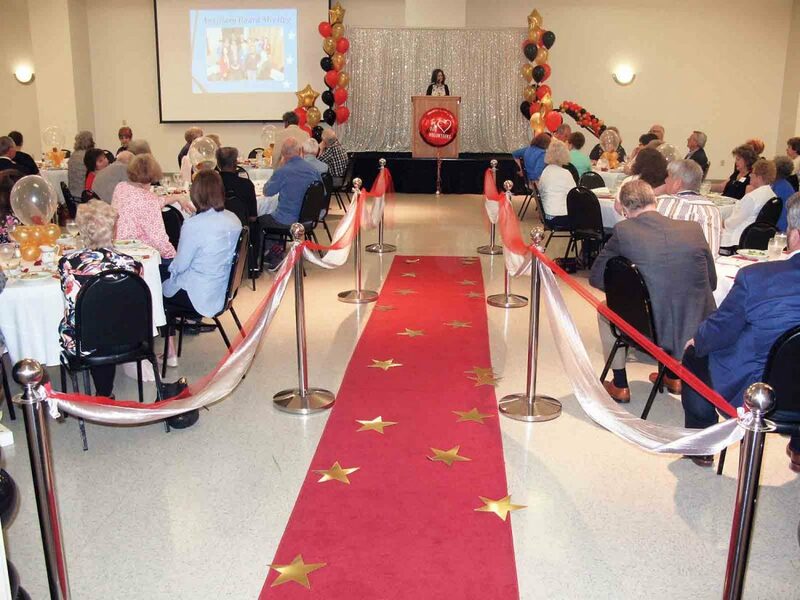 Photo by Evan Bevins WVU Medicine Camden Clark Medical Center’s volunteers were the stars at Friday’s 67th annual Auxiliary and Luncheon, welcomed into the Nemesis Shrine Center in Parkersburg by a red carpet. 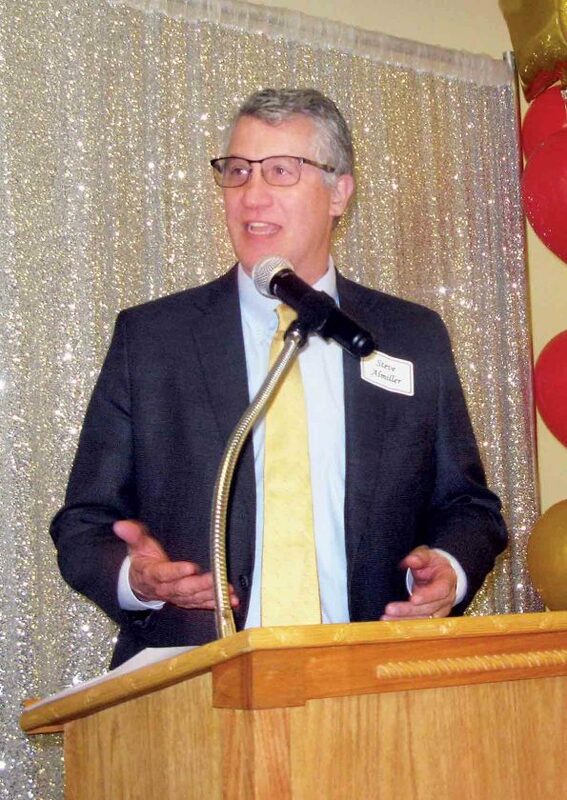 PARKERSBURG — WVU Medicine Camden Clark Medical Center thanked its volunteers for their contributions to the area’s health care and accepted multiple gifts from them to enhance that care during the 67th annual Auxiliary Meeting and Volunteer Appreciation Luncheon. 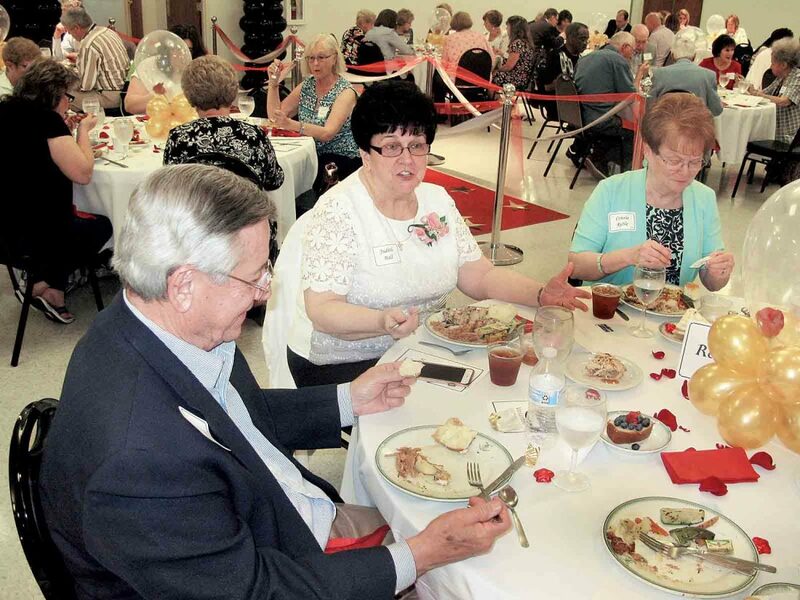 More than 200 volunteers, employees and guests gathered at the Nemesis Shrine Center in Parkersburg Friday for the luncheon, held each year during National Volunteer Week. Among them was Belpre resident Connie Ruble, who has been volunteering at the hospital for nine years. She works in the gift shop and elsewhere when needed. “Sometimes we do a lot of work, but we have a lot of fun too,” said fellow gift shop volunteer Gwen Bush of Parkersburg. In the last year, the hospital’s 138 active adult and 102 teen volunteers contributed a combined 38,498 hours of service across 35 areas of the hospital, including registration, the information desk, endoscopy, the intensive care unit and more. “They are a vital part of our organization because they support our departments and our staff in their endeavors,” said Margie Reed, volunteer/auxiliary manager. 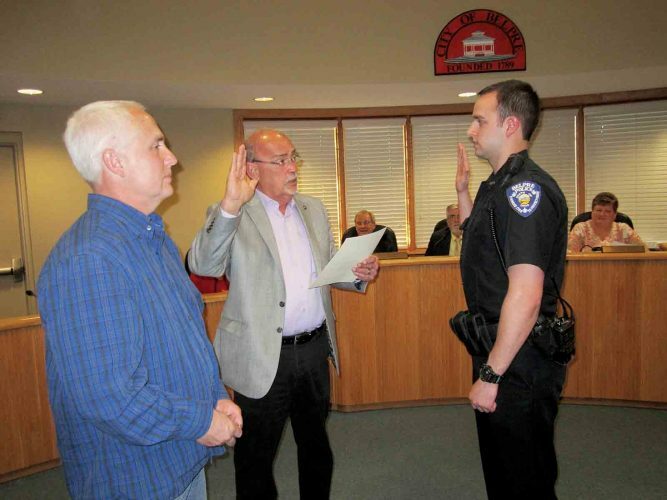 Many of the volunteers are retirees “because they have time on their hands,” auxiliary President Judith Ball said, but there are people of all ages involved. Ball said she enjoys meeting different people while she volunteers. The auxiliary announced an $85,000 gift to the hospital. A portion of that amount went to purchase five bladder scanners, four AccuVein devices to assist in performing blood draws by projecting a map of the peripheral veins on the skin and wrist pulse-ox monitors for use in pulmonary rehabilitation. “The staff can be more aware of the patient’s condition when they’re doing rehab,” Reed said of the wrist monitors. Three $2,500 scholarships were awarded through the Leo D. Carsner Scholarship Fund. 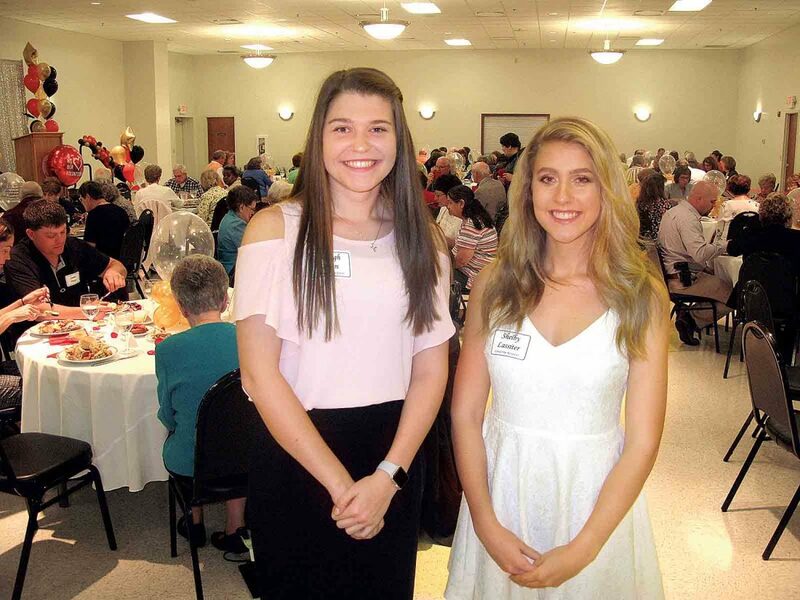 The recipients were Muskingum University sophomore Caleigh Doan, a Marietta resident who is studying nursing; Marietta College freshman Shelby Lassiter, a Spencer native who plans to become a physician assistant; and Brianna Butler, who was not present and is studying nursing at Liberty University.